It’s that time of year to get out of the cold weather and go on a vacation. Make it a tennis vacation so you can keep up with your game and relax on the beach at the same time. There are many top tennis vacation spots all around the world, but here are some of our favorites to go to. We all know that Rafael Nadal is one of the greatest tennis players of all time. Now you can train like him on vacation when you visit Mexico! If you are a seasoned veteran or top junior looking to improve your skills, then this destination is made just for you. Located on the southeast coast of Mexico, outside of Cancun, you can enjoy a luxury tennis vacation with lots of sun and plenty of private beach space to relax. The tennis center is located in between two major resorts, the Grand Palladium Costa Mujeres Resort & Spa and the TRS Coral Hotel. This is the newest destination on our list – opening in November 2018 – featuring eight red clay courts, a soccer field, a paddle court, an exclusive Rafael Nadal Museum, a tennis shop and sports café. The tennis professionals are highly trained enabling you to maximize your strengths and minimize your weaknesses. Although it comes at a premium cost, the facility and location will not disappoint. Most of the time when we think of Palm Springs or Indian Wells, we think of the BNP Paribas Open. However, minutes down the road is a magnificent resort that pulls out all the stops for tennis players alike. This might be one of the biggest hotels on our destination list, but it has a great selection of amenities geared for tennis. The hotel itself has 884 overnight rooms, two golf courses, two pools, a putting course, a huge spa and fitness center as well as four different restaurants on site. 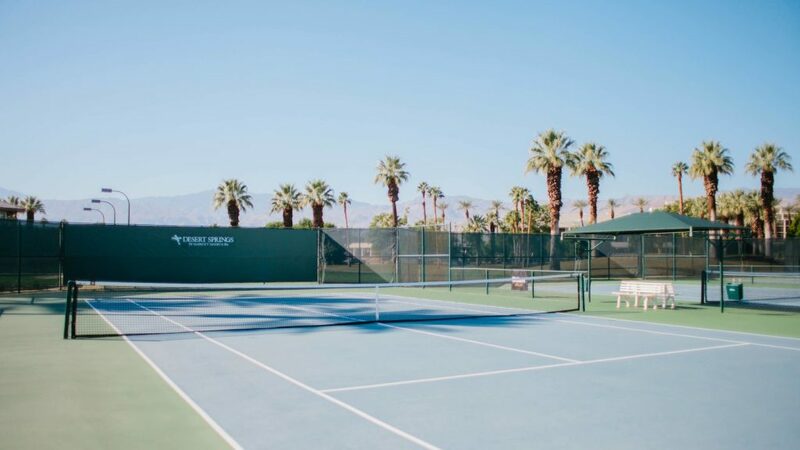 What makes it more special though is the tennis facility which has 15 hard courts, three green clay courts, two grass courts, three Peter Burwash International tennis professionals, a busy event schedule and pickleball available every day. 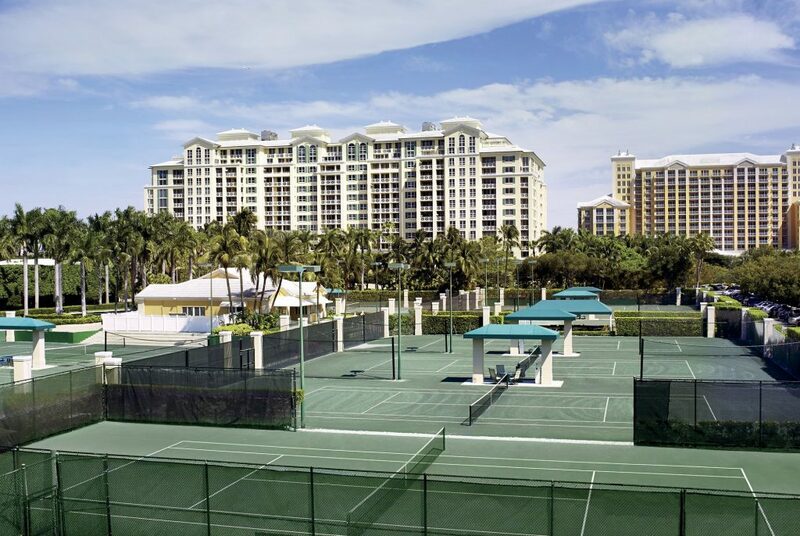 All levels of tennis players can flock to this resort to find a competitive match, drill session or round robin tournament. Just a warning you may get lost a couple of times trying to find your way around and you will have to pay a pretty penny on accommodations/amenities. Looking for a relaxing, laid back family tennis vacation? Then the Mauna Kea Beach Hotel is right up your alley. This hotel is located on the northwest coast of the big island with great views of the ocean. There are 11 hard courts that are within feet of the crashing ocean waves making for a picture perfect background setting. All age levels can enjoy private or group instruction, daily clinics, social tennis events and round robin tournaments. Additionally the hotel has about 260 rooms for lodging, seven dining areas, an 18-hole golf course, private beach, fitness center and a spa/salon so you can enjoy your vacation experience to the fullest. Located on the island of Key Biscayne, this luxury resort lets you soak in lots of tennis and enjoy the Caribbean experience at the same place. The resort is minutes away from Crandon Park and downtown Miami with a secluded setting overlooking the Atlantic Ocean. You will find plenty of tennis activities on site thanks to the Cliff Drysdale tennis center that keeps the facility busy all year around. There are 10 green clay courts and one hard court with daily clinics, private/group lessons, junior instruction and private events. Touring pros like Andy Murray, Serena Williams and Genie Bouchard even stop by every once in awhile to do charity exhibitions before the Miami Open. There’s a lot to like about this resort and tennis program. Many top tennis pros enjoy vacationing/training at the IMG Academy for its state-of-the-art facilities and pristine weather conditions. The academy has grown over the years to become a mecca for the professional sports industry. This is largely thanks to legend tennis teacher Nick Bollettieri who wanted to create a unique training environment for top junior players and professionals to train all year around. The academy does have instruction for all levels of tennis players, but most clinics/lessons are geared towards higher level league and tournament players. The tennis facility has 33 outdoor hard courts, 18 outdoor green clay courts and four indoor hard courts available for daily usage. Plus players will get top notch instruction everyday from pro level coaches with access to a spa, fitness center, lodging and on-campus dining. 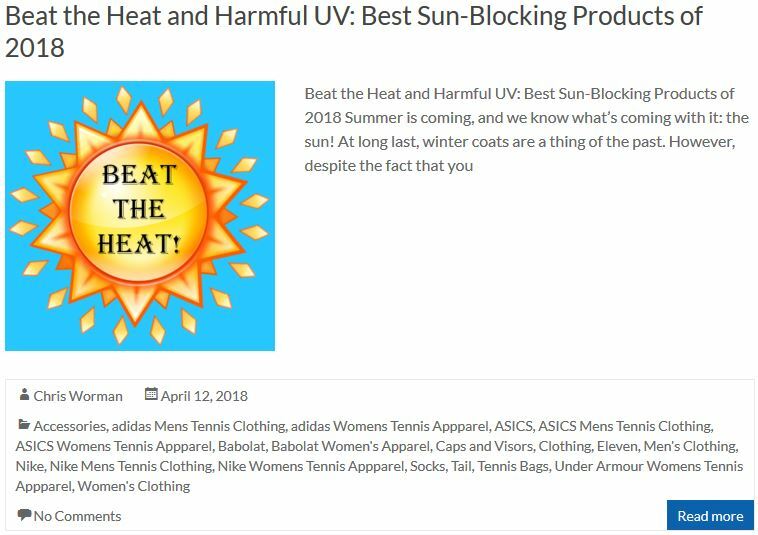 Their program is pretty demanding with 5-hour training sessions per day, but it is worth it when you see your end of season or tournament results. If you want fun in the sun and non-stop activities on your next vacation, then check out Baha Mar. 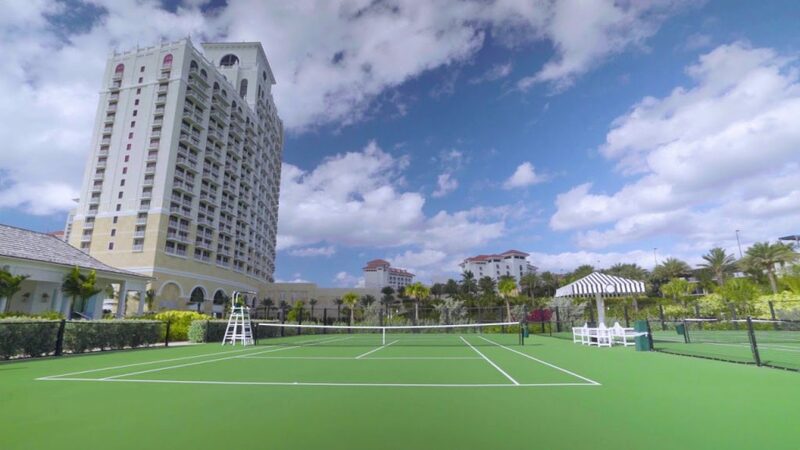 This mega resort is perfect for tennis players and non-tennis players! Located on the north coast of Nassau overlooking the great Atlantic Ocean, you will find breathtaking views and premium amenities whenever you choose to stay. The resort itself is comprised of three different hotels, a giant casino, private golf course, spa, a grottoed pool with waterfall, dozens of restaurants/cafes/bars, several art galleries, fashion boutiques and a privately landscaped 3,000 foot beach. Additionally there is a phenomenal tennis facility run by Peter Burwash International professionals with six hard courts, three har-tru clay courts and one grass court all lighted so you can play whenever you want. 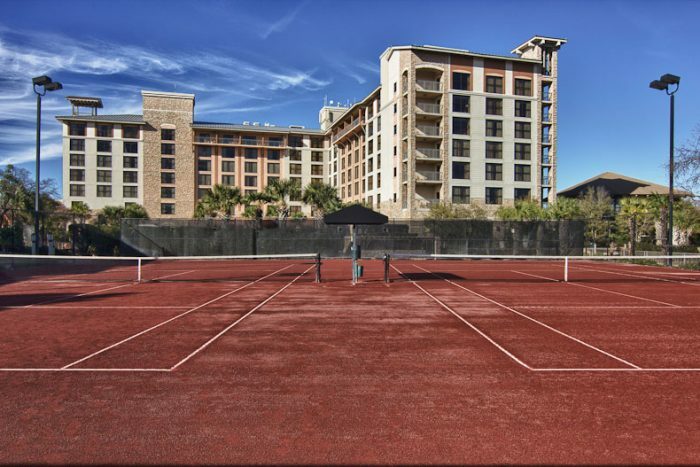 Horseshoe Bay Resort is a great option for tennis players that want to take a quick weekend trip away without paying a high price. This resort is uniquely situated just west of Austin and right next to Lake LBJ in the Texas country side. For players of all levels and ages, this place is a great spot to go because of the different tennis activities and courts available. Junior players will find three dedicated Kids’ courts with daily instruction and competitions to perfect their game. 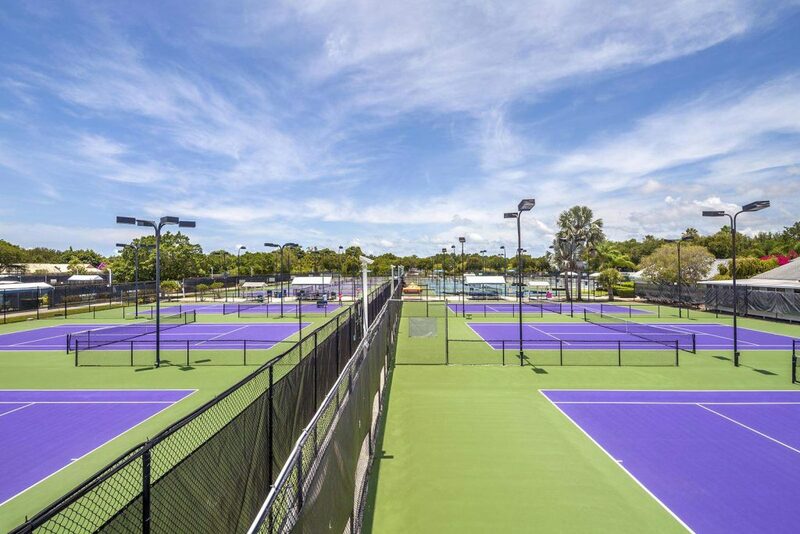 Adults will find six red clay courts, eight hard courts, an artificial grass court and eight pickleball courts. The event calendar is busy with private or group lessons, regular clinics, tournaments and round robins. In addition the resort has three options for accommodations, five restaurants, three golf courses, an 18-hole putting course, four pools, a spa, a fitness center and a white-sand beach along the lake. One of the first Four Seasons Resorts built with a premium tennis facility, this is another great option for all kinds of tennis players. Located on the beautiful West Indies you will never get enough of the great atmosphere, friendly people and laid back Caribbean vibe. Although the resort is smaller in size with 196 rooms and 50 private villas, it’s built with luxury at the forefront thanks to the Four Seasons brand. If you are not in the mood for tennis, you can walk along Pinney Beach, play some golf, unwind at the spa, work out in the fitness center, learn to scuba dive or even go snorkeling in crystal clear water. The activities here are built for fun no matter your age and skill level. Whenever you do decide to play some tennis, there are 10 different courts you can pick from with four hard courts, four red-clay courts and two Astro-turf courts. Additionally there are five courts lighted for night play, daily instruction, regular clinics and premiere events so you can enjoy your time in the Caribbean sun. 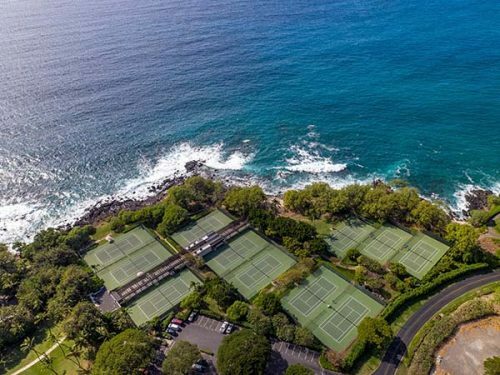 Depending on what amenities you are in the mood for and how far you want to travel, these high-class tennis destinations may be the perfect options. For more insights on top tennis vacation destinations, check out the following pages: www.tennisresortsonline.com , www.pbitennis.com , and www.cliffdrysdale.com. 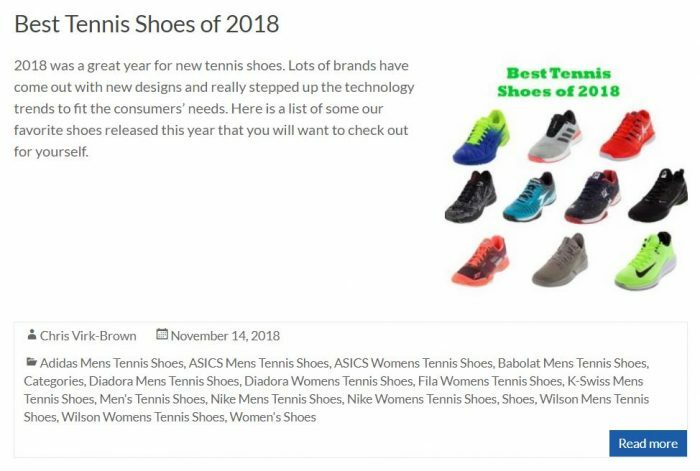 Get exclusive tennis gear and more at Tennis Express to be ready for your next tennis vacation.